Fairy Drops Scandal Queen Waterproof Mascara: So this mascara is no stranger to me but I recently cracked open a tube of it that was in my backup stash and I gotta tell you, it is good. The brush on this one is unique with three spherical indents throughout. Sounds crazy, kinda is but whatever it is works to lengthen and volumise your lashes like nothin' else. Zoeva Brushes: So part of my makeup cull saw a major brush cull and now many of my brushes come from Zoeva. I love all their brushes. They're soft and super lightweight and are easy to clean. They're also relatively inexpensive as well and are such lovely quality. I recently picked up the powder brush, above and I love it. I've previously used bigger powder brushes but I find this one a better size for building up setting powder, rather than applying a shedload at once. 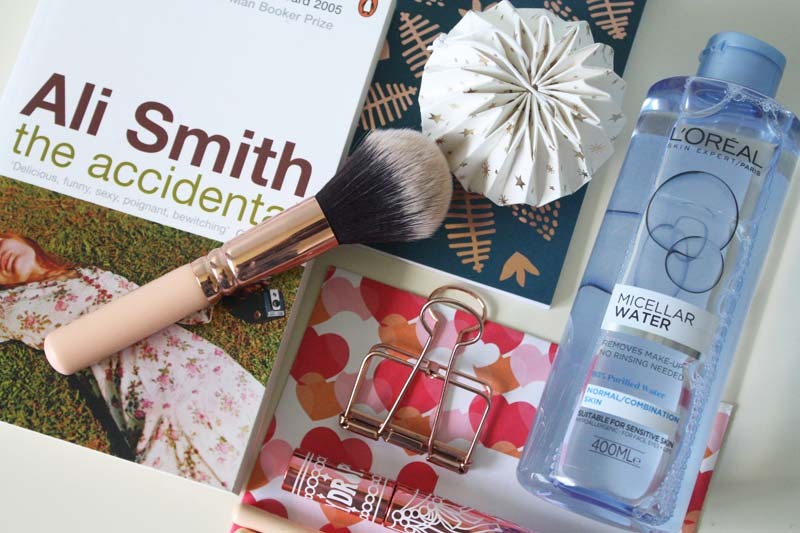 L'Oreal Micellar Water*: My beloved Bioderma bit the dust this month and seeing as this was in my stash, I decided to whip it open. I'm very impartial to Bioderma but this may be swaying me. Which is a good thing because it is much much easier to get my hands on. Designed for normal/combination skin, it is fragrance free and removes every last scrap of base makeup. I use it to break down lipstick as well as clean up any eye makeup remnants. If you're after a good, relatively inexpensive micellar water, check out L'Oreal's. The Accidental x Ali Smith: I kinda regret including this book now because anything I say about it will not do it justice. I loved how Smith intertwined so many elements; descriptive narration, scattered dialogue, poetry. The novel is broken up into three acts, with each closing with some reference to film and it's just exquisite. Sure, I kinda kept seeing someone I know as one of the characters, which made it a bit more vivid but regardless I really loved it. The more of Ali Smith's work I read, the more I love it and her so I'm going to be working my way through everything she's written from now on. Call Me By Your Name: If you haven't guessed by the amount of times I've worked this into conversation on and offline, or listened to the soundtrack while I work, or worked out when I should reread the novel the film is adapted from, I loved it. The cinematography is beautiful, the cast is fantastic, the story is so rich and vibrant. I have found myself fantasising about visiting Italy again, reading books out the window of an Italian villa. Pools so picturesque they may as well be sculptures, fruit for days and music everywhere. The monologue towards the end of the film with Elio+his father is so well done. I highly, highly rate this movie and know it's going to remain one of the best things I watch in 2018. Lana Del Rey: After remembering how much I love this song I've been on a real Lana Del Rey kick. I'm particularly loving her Honeymoon album but honestly all her music is pretty much the soundtrack of my Summer. Again, it's another thing I've been listening to while I work. Her lyrics and the vivid, cinematic quality of her songs are just magic. I hope she tours to New Zealand someday because I will be first in line. The Good Place: This freakin' show. I remember seeing the preview image on Netflix and thinking 'frozen yoghurt, okay this looks weird' and not thinking much more of it. Well, I am on the bandwagon now. I won't say too much about this show because it is easily spoiled and you really just need to watch it for yourself. Kristen Bell is amazing as Eleanor and I also love Jameela Jamil as Tahani. Michael Schur, one of the geniuses who bought us Parks & Rec created this show so you know it's going to be special. Just watch it if you're one of the few people who haven't seen it yet. -What have you loved during February? You can make sense of your mind's threads: Sounds self explanatory but as someone who I think knew writing everything out would make this a reality, I avoided diaries for a long time. It wasn't until my therapist kept politely pushing the idea of me starting one that I listened. Major props to her for doing so because it's the best thing I could have done, bar seeing her of course. The perspective and oftentimes clarity it brings me to situations, whether difficult or not, is so beneficial. A year in the life: Resisting the urge to quote The Beatles here but I essentially have a written record of what I get up to and what is on my mind for *fingers crossed* all of 2018. As someone who loves nostalgia like nobody's business, this prospect really excites me. Sure, my future thirty year-old self will probably look back and want to shake some sense into my current self but I think it will be interesting for me at least to see what 2018 looked like. What inspired me, what changed the course of my life, who has had a profound influence and vice versa. Yes this image is out of focus but I like that about it. It is cathartic: As I work in the city Monday-Friday I often end up writing my journal entries on my lunch break or on the evening train home. Naturally, this little bit of escapism I can afford myself is really calming. As I am writing for me I can really just keep writing without pausing. I often write pages and pages if I'm really in the mood. If I'm tired, let's be real, it's probably only going to be a paragraph. Seriously though, I find it so relaxing. 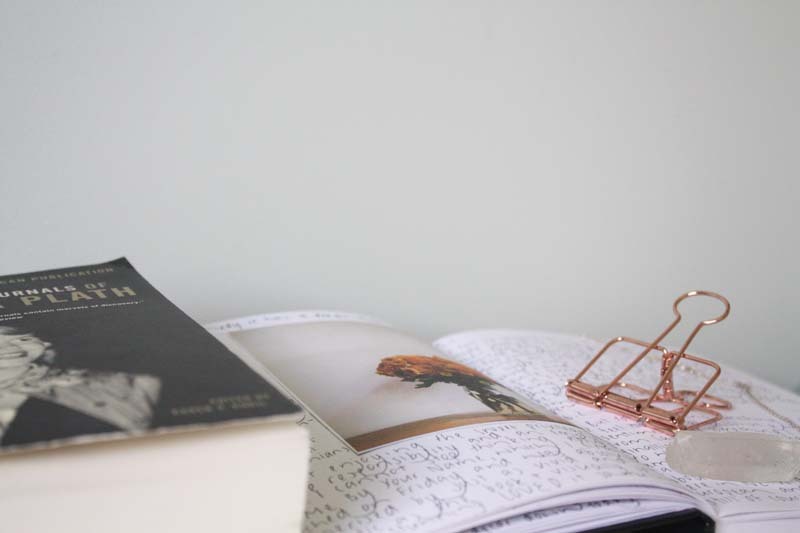 It is practice: I don't want to say it makes me a better writer but I've read enough interviews with writers who say writing daily is only going to aid your work over time. As much as I try to not overthink my diary writing, I do try to bring in the odd metaphor or descriptive paragraph. It also keeps me in the routine of writing something. I don't write on my blog as much as I used to two/three years ago and I don't get to write for my job so sometimes this is the only writing I'll do. To examine life through a candid, unfiltered lens: As I see my therapist fortnightly, sometimes a lot can happen in that time. I usually always take my diary to my sessions because if anything's particularly pressing, I will have post-it noted it to discuss. Nobody reads my diary in full though, other than me so I can let my guard down so to speak. Obviously I don't need to embellish for me. Side note: this is not me saying I write fraudulently elsewhere but our inner voices are going to be the most candid. *True story. Probably because I was the loudest let's be honest here. Walking to work and listening to music: This seems to always put me in a good mood and gives me a bit of pep in my step. It could be the fact that I know coffee is just around the corner as well. In seriousness, this is one of my favourite ways to zone out and I love it. The way the light hits trees in Summer, silhouetting them: I have such an obsession with shadows and silhouettes. I just think they're beautiful and the way a bunch of flowers, palm trees, cabbage trees and just trees in general become shadowy and ethereal at night literally makes me all like "yasss nature". Not to mention the sky is usually bedecked in seriously stunning pastel colours as well, making this all the more exquisite. Reading on the train: The sun casting shadows onto my pages, scribbling notes in the margins, underlining passages that resonate. 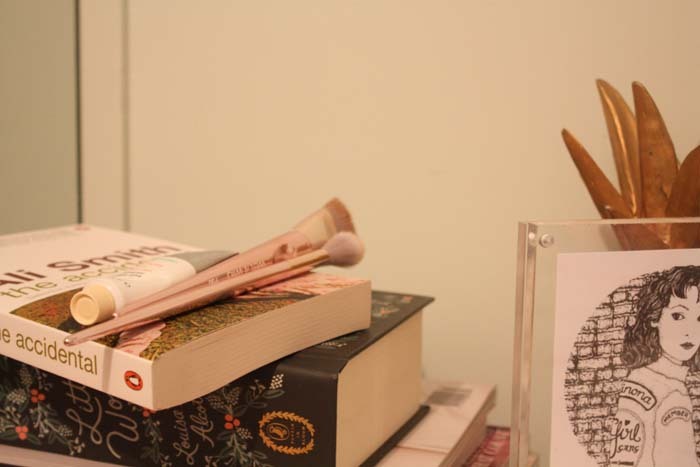 I often have my diary on me at all times and sometimes a couple of books or a magazine. I tend to alternate between the two but again, I love to zone out and unwind at the end of a long day or first thing in the morning. Being surrounded by people I respect and admire: We choose our tribes, sure but then there are also the people we meet and/or see on the daily. I count myself lucky I get to spend time with inspiring, kind people who are more interested in building one another up than tearing each other down. The morning cup of coffee: A ritual best savoured, whether that be at my desk or at the kitchen counter. Sometimes it's accompanied by an Instagram browse or a flick through a magazine but I often prefer to just sit and drink my coffee. Gather my thoughts, spy on the cats, go over the day's schedule in my mind. Spritzing the air and myself with a perfume: Another morning ritual I love and usually the last thing I do before I head out the door. Okay, sometimes the second to last because I have a fantastic habit of leaving my car keys in strange places. I wrote on this a bit already here. Flowers: Next to this in my notes I've added, 'in all forms'. I love flowers and think if I was a better plant owner, I'd have an array of them regularly. My shortcut to work involves a walk past a dairy that always has flowers outside. Overpriced, sure but beautiful nonetheless. I also love going to the Winter Garden here in Auckland when I can and also admiring flower arrangements. At the moment I am lusting after these dried arrangements because they just look stunning. The art of conversation: Something that is probably telling, one of my school reports noted "Sophie enjoys engaging in chatter". I love a good banter. Learning other people's stories and passions have always been something I've enjoyed. Probably why I enjoy memoirs so freakin' much. Lately though I've realised more and more how much I love a good banter and how fulfilled great conversation leaves me feeling. The. Best. Bourjois Healthy Mix Powder: Ah interesting, this has been repackaged, possibly reformulated too. I am not entirely certain. This is my go-to setting powder and has been for ages. It gets the job done in terms of mattifying without being too matte. My only qualm is the shade I use, #1 seems to be near-impossible to find here in NZ. I only ever see the darker shades which is disappointing. Otherwise I like this and its relative inexpensiveness. Fairydrops Scandal Queen Waterproof Mascara: I seem to go through phases with mascaras but I know what I like and this mascara ticks many of those boxes. This must be my third or fourth tube of this mascara now and I honestly love it. Lengthening, volumising, holds a curl and stays well put. It really puts those Western mascaras to shame. Glossier Balm Dotcom: I love Balm Dotcom, I use it every morning to prep my lips and also always have one in my bag. I use it during the day at work, when I remember, ahem chapped lips central. 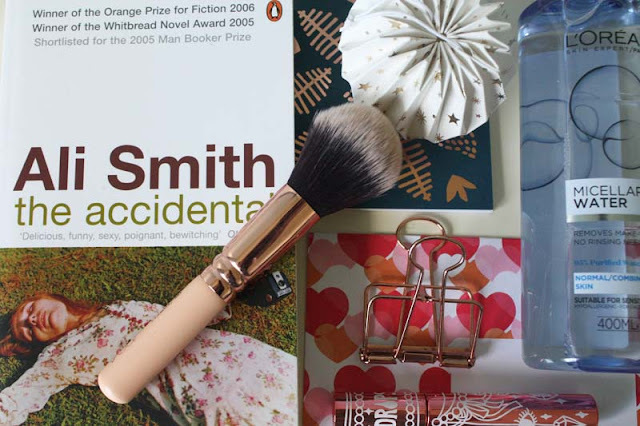 It's also great to use as an eye gloss when you can't be bothered faffing around with beauty. Oh and it smells divine. My favourite is this birthday cake scented one pictured. Too Faced Hangover Primer: I'm not sure why this primer earnt its name but one isn't fussy when it's this brilliant. Packed with a load of friendly skin ingredients, it's also moisturising and keeps your base looking top notch all day long. I've tried a few primers over the years and this is definitely my favourite of the bunch. Maybelline Age Rewind Concealer: I have it on good (ish) authority that this is finally coming to NZ soon! I don't know when exactly, Maybelline tends to drop a ton of products here all at once so I'm guessing it won't be far off. Anyway, under-eye concealer of choice to cover up sleep deprivation and tired, tired eyes. Whoops. Again, I've been through so many of these that I've lost count but it's a fan favourite for a reason. By Terry Ombre Blackstar: So I received a Mecca voucher for Christmas and recently repurchased my beloved Misty Rock. My original was quite old and to be fair probably wasn't really fit to be used on my eyes anymore. These eyeshadows are stunning and do not budge all day. Seriously, I've been wearing this in the midst of Auckland's...unusual heat wave, occasionally in a building with broken air conditioning and it's stayed put. NARS Smudge Proof Eyeshadow Base: If this primer ever gets discontinued I will buy up every last one. Well, perhaps not but it is the only thing that stops eyeshadow becoming a line in my crease come morning tea time. I like that it is clear so it doesn't interfere with the colours of eyeshadow either. I've been using this for five or six years now too-cripes! Coco Mademoiselle x Chanel: I haven't had to repurchase this yet as both times I've received it as a gift, thanks 'rents. That being said it is one of the few perfumes I own that I would buy over and over. We all know I am not fond of describing perfumes because I tend to slaughter them. Chanel perfumes are iconic so I am sure you'd recognise this upon spritz. 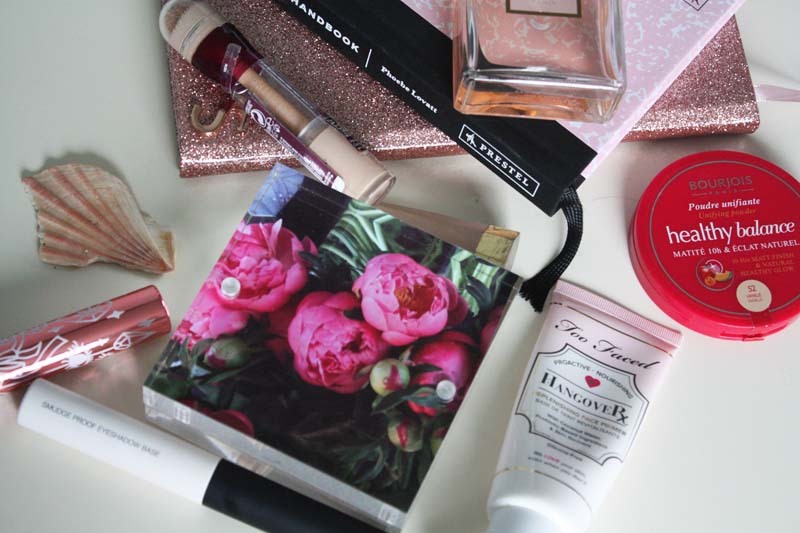 -What are your beauty mainstays? 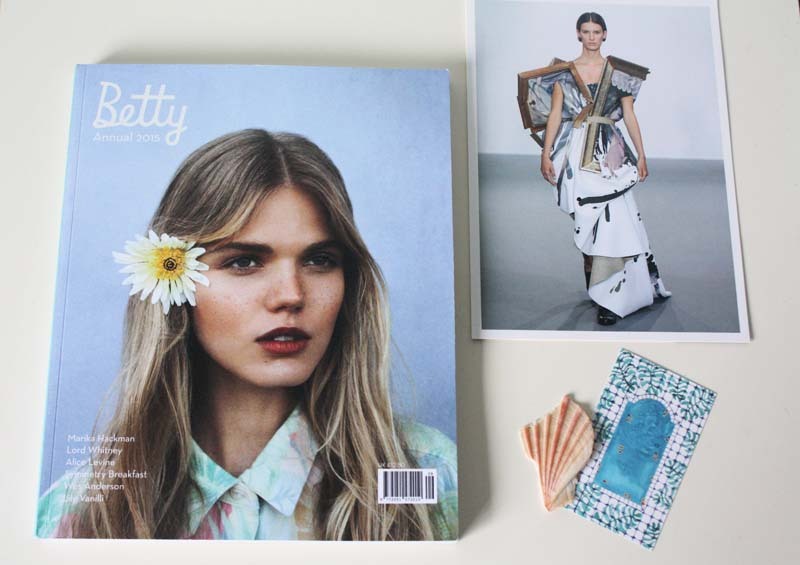 Betty: It's probably uncool of me to include this one here, seeing as the print incarnation no longer exists. Charlotte Jacklin, one of the founders and current brainchild+expert enabler, announced she was selling up old stock and I leapt at my chance to grab a couple of these annuals. They're beautiful magazines and while I wish I'd discovered them much, much earlier than I did, I am loving soaking up all their beauteousness. Don't fret though because Charlotte's website, weekly newsletter and other Internet-goodness more than make up for the magazine's absence. In fact, I strongly recommend you head there for a peruse. 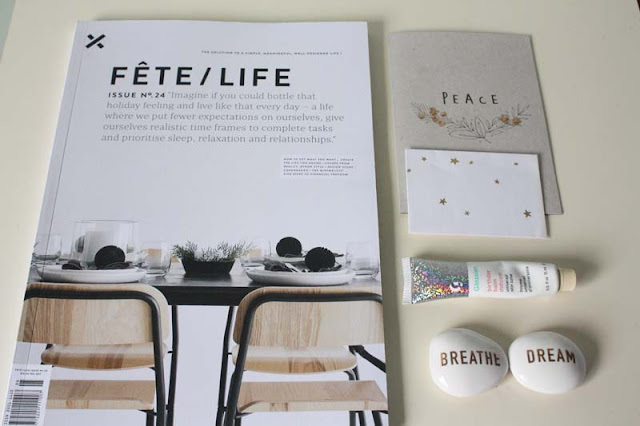 Fete/Life: If there was a magazine that was a physical embodiment of the well designed, tranquil, carefully curated sanctuary I hope to have someday, this would be it. In fact, Liv if you're reading I don't know why I didn't send you this because you'd love it. This issue is built around the idea of having the holiday mindset year-round. Fete/Life is a mix of interiors, design, style, wellbeing and a smattering of travel. 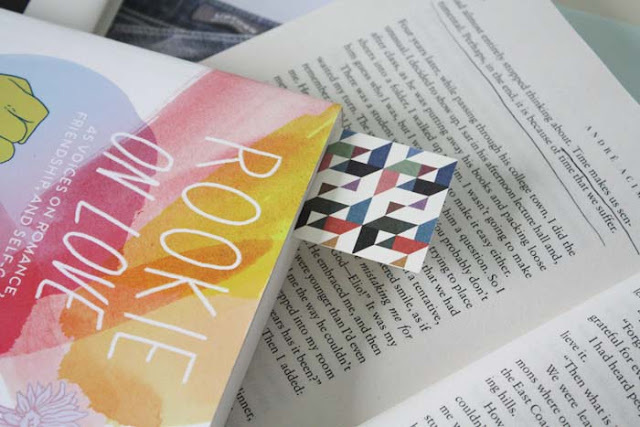 Its minimalist design and simplicity makes it a treat to flick through. 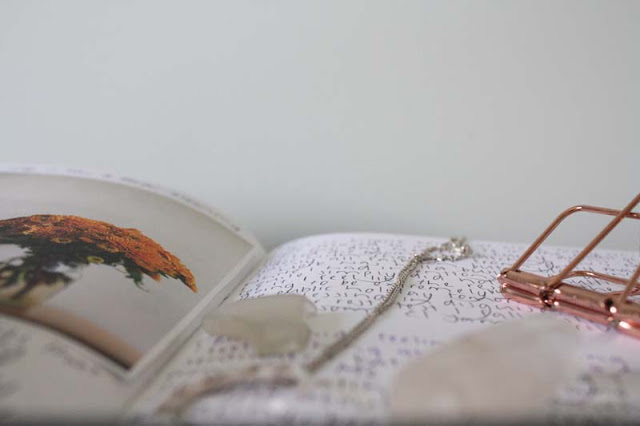 That and you will want to tear out inspiration pages+bookmark all the lustworthy and useful things. It's an Australian publication and you can buy it online. Aucklanders-I've seen it in well stocked bookstores but Mag Nation on Ponsonby Rd is your best bet for acquiring a copy. 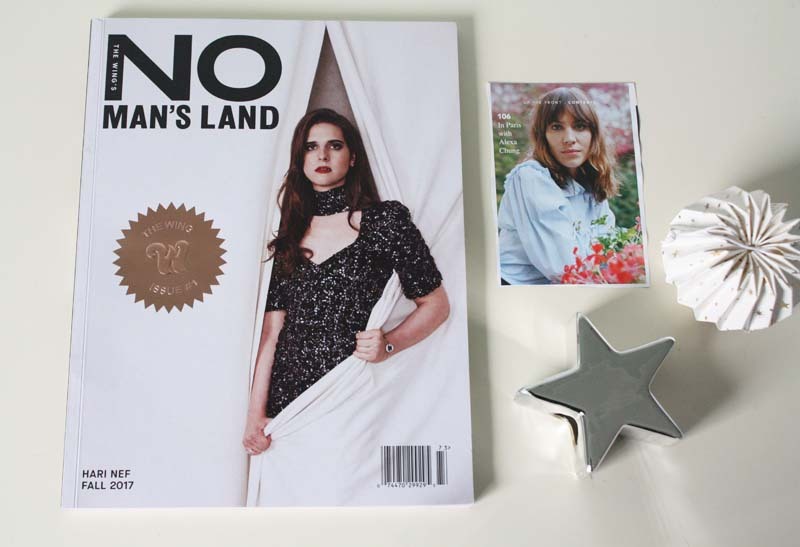 No Man's Land: So this magazine doesn't ship to New Zealand, I got around that using YouShop which admittedly was not a cost-effective way but I was determined to get my hands on a copy. As they put it on the site, this magazine is brought to you by the people from The Wing and it's for women "with something to say and nothing to prove". In short, if feminism, gender equality and women doing awesome things are your jam-get this right now. The whole magazine was crammed with brilliant content but the one story that particularly stood out was women taking on emotional labour in the workplace and the impacts it has across the board. That and an article about feminist magazines that have come before No Man's Land. 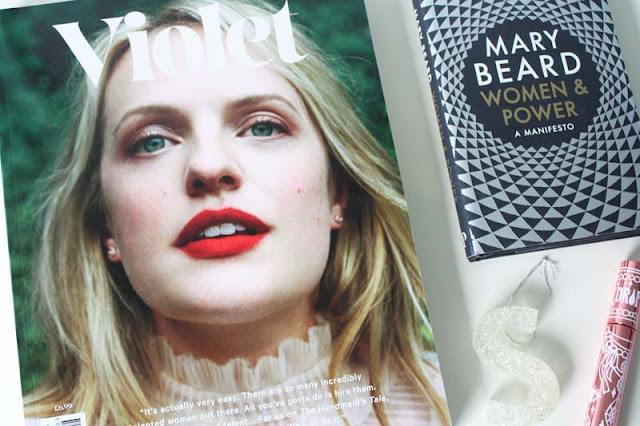 Violet: Another magazine that's a bit on the luxe side, especially to ship here to little ol' NZ but honestly, so so worth it. I've written about Violet before and again, my love of Leith Clark's work is well documented. One thing I love about Violet is that it always shines the light on changemakers and emerging talent. 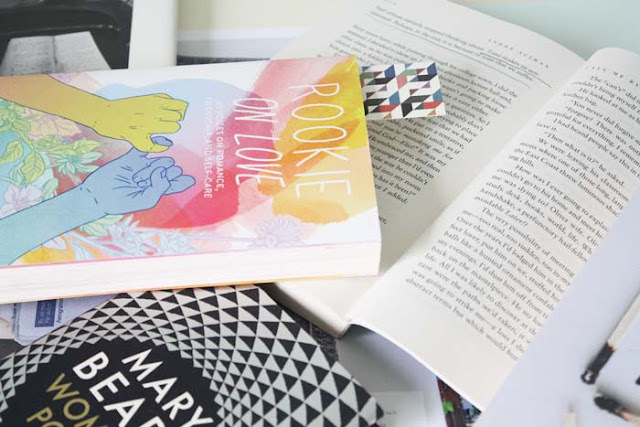 It's an exquisite treat of a magazine and you will find yourself reading every last word before stowing it safely away like a glossy treasure. In fact, reading Violet does always take me a while but that's one of the many reasons I love it. 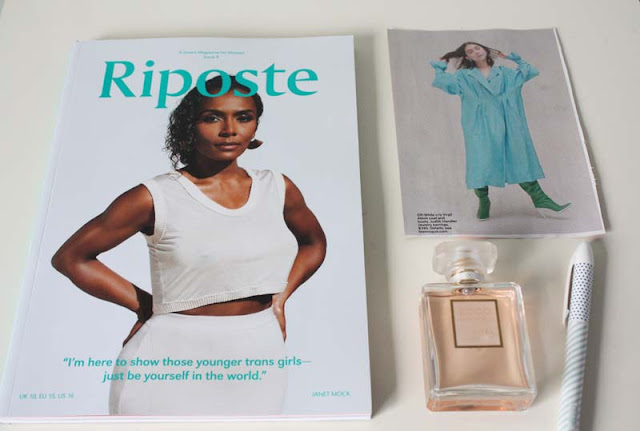 Riposte: Another magazine I've featured before is Riposte, a brilliant magazine for women. I love the balance of content and its always inspiring, informative nature. As well as a cover story with Janet Mock, there are also features on the young fans of Graceland, embracing your inner emo, modern witchcraft and the housing crisis to name but a few. This is one of my designated trainside reads as it's easy to immerse yourself in and disappear for a while. -What magazines do you love? Something New: Eco Tan Face Tan Water, this was one hundred per cent an enabled purchase after asking someone what they were using to make themselves so bronzed and radiant. Basically she said "Sophie, you need to have this in your life." and after hunting around for it for what felt like an age, I finally found it. The fact that it was so hard to acquire in the shops due to it regularly being out of stock probably says it all. It is very early days, I've only applied it twice because I still have bad flashbacks to the Clinique mousse tan for my school ball, circa '09 and thus approach anything tan related with caution. Tangents aside, I am loving it and the fact it is so skin-friendly too. Just look at that ingredients list. Now if I can find something as equally friendly for the body I'd be so satisfied. Recommendations welcome. 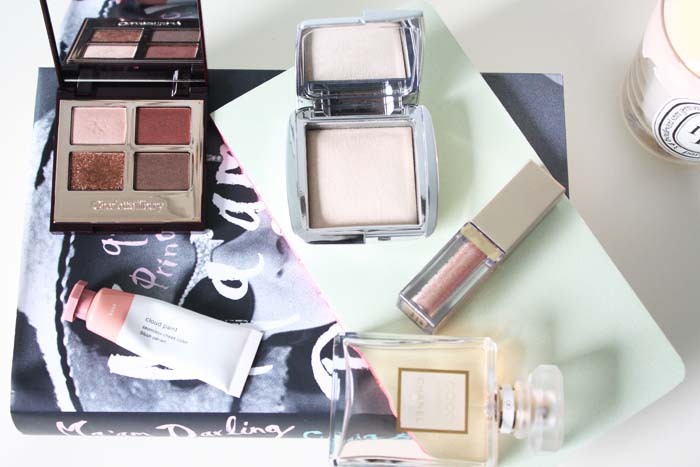 Something Loved: The Dolce Vita Palette x Charlotte Tilbury. I've owned this one for a little while and I've probably mentioned it in one of these posts before. Anyway, lately I've been enjoying palettes again-if only for the effortlessness of being able to combine colours without much faffing around. This one though is a stunner. Yes that pressed glitter is the main drawcard but I just love these reddy, bronzey shades. Something Rediscovered: Boy Brow x Glossier. As I noted on Instagram I thought I didn't like this product but I'm not too sure why. Anyway, as I am sure the Internet knows by now, Glossier prides itself on its minimal approach. So Boy Brow will give you a bit of colour and brow maintenance but won't be packing in a ton of pigment. As someone with naturally thick eyebrows that's really all I'm after. I've been through a couple of these now and love the stuff. Something(s) Unconvincing: Bad Gal Bang x Benefit. First things first I need to preface this by saying I was sent this mascara as part of a blind review, from Farmers NZ, a local department store here. As with all things, I feel like mascara is incredibly subjective and I know for one I am extremely fussy with mascaras. Anyway, I'm not a fan. I just felt like this did nothing for my lashes and it smudged. There's certainly better mascaras out there. Another product I haven't tried but I'm just not overly swayed by, the Glossier Solution. I'm not a skincare genius but Caroline's post paints a pretty decent picture as to why your toner/acid in skincare funds are better invested elsewhere. I use this and have repurchased it a few times because it works. 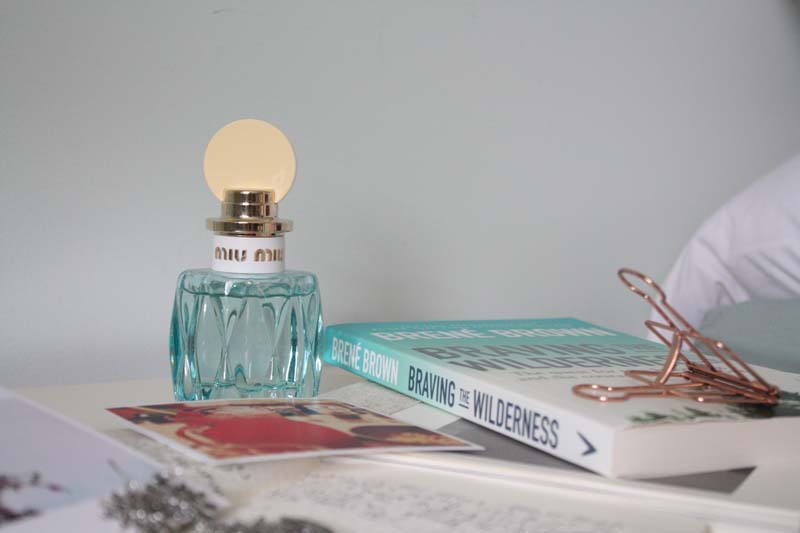 Something Lustworthy: After thinking about this a bit, the only thing I really want at the moment is a Bella Freud candle but I feel like that doesn't count. I dunno, none of the new launches are really calling my name right now. My wallet's probably thankful haha. 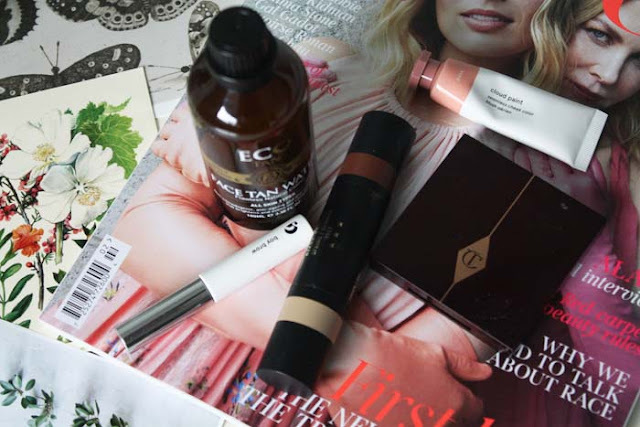 -What's on your beauty radar at the moment? After watching Sam's video about makeup and depression, it got me thinking. That and a somewhat feather-ruffling article about the skincare industry and its presence as a scam, preying on the idiotic and gullible among us. It's no secret that makeup exists to fix a problem, to enhance our features and mask flaws. How many of those adverts with questionable statistics from a trial of sixty people grab anyone by the purse strings? I shudder to think. 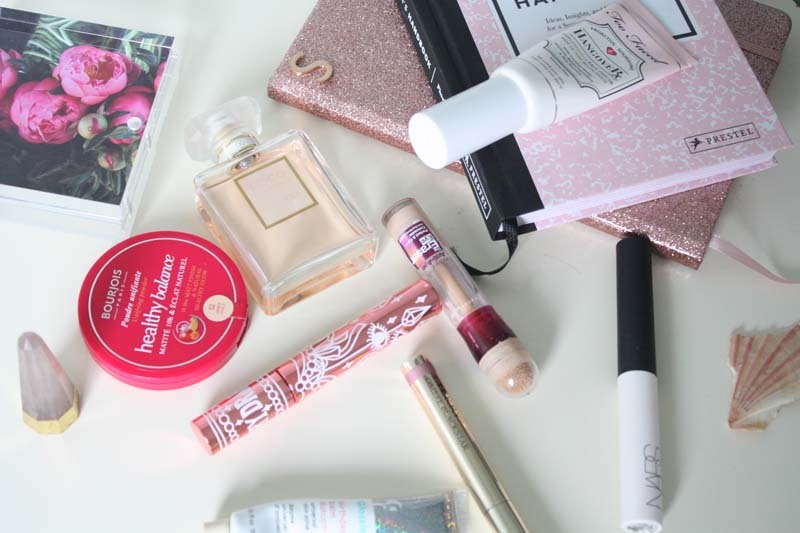 The multipurpose, unnecessary products. An insert telling you how to apply mascara. Foundation that comes in twenty shades of white. The examples and types of problematic behaviour and ethics within the beauty industry are of course not limited to these examples. If we looked at every debate we would be here for a decade. Like the fashion industry, many of these ideals and standards are deeply rooted. Change will be eventual but it is by no means fast moving. Patience is key and of course accountability across the board. For all its faults however and potential damage, it will be interesting to see how the ageing process affects my generation's eventual perception of beauty. Makeup has its merits. If I am having a lousy time of it, throwing on a glittery eye shadow or a bold lipstick can give me a little confidence boost. An external armour if you will. A spritz of Coco Mademoiselle relaxes and comforts me. Its scent encases me in a veil of familiarity and nostalgia. It serves as a reminder that any past memories, are simply that. Past memories and that is where they will remain. The scent itself will always be there, one hopes at least. There also lies comfort in the ritualistic nature of a beauty routine. It brings with it structure, normalcy and an invitation to pause-free from outside noise. Yes, it even deserves mention as a form of self care. I apply makeup first and foremost for myself. Sure there will be some who dismiss this thinking as superficial and ridiculous. I am well aware there is always another perspective to any discussion of this nature. In a time where the beauty world is muddied by ethical quandaries, misguided advertising, brand mishaps and PR nightmares, it can be easy to become swept up in the negative side. Give a girl the right weaponry, in the form of glitter as a shield and blood red lipstick as a sword and she can conquer the world, whether fleetingly or forever.